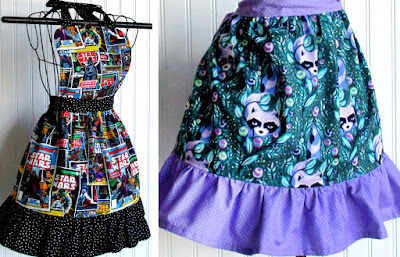 Beautifully Sewn Purses, Aprons & more that Pop with Pattern. 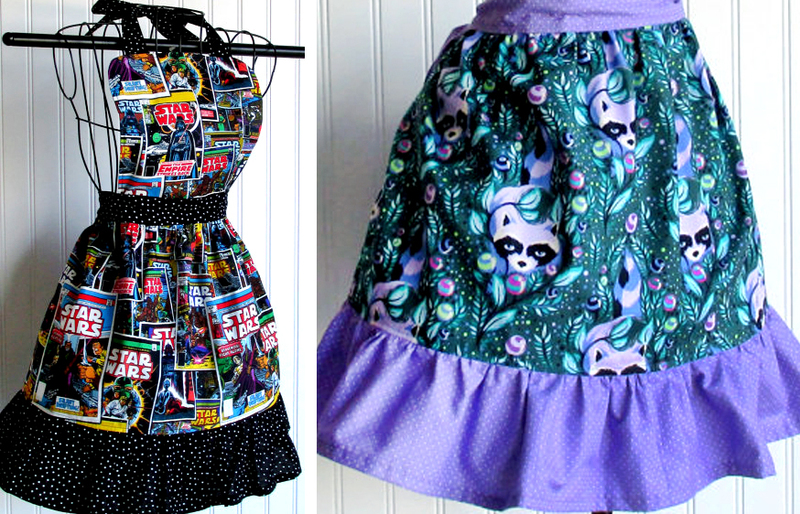 Fabrics full of Flair with Loveably Geeky Characters & Designs. I may be biased, but how can you not love the work of April Betancourt of Crescent City Couture with her celebration of all things nerdy through imaginative and beautifully crafted goods?! With a background in costume design, April is a well practiced seamstress with a knack for picking fun fabric! 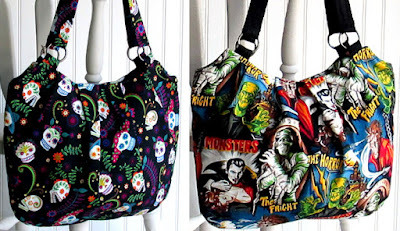 She then takes these character filled prints and works them into fabulous, but also functional designs, from handbags to aprons and coin purses to pillows. She's found an array of really handy shapes for her bags and aprons, but they're always unique because she keeps working with new textiles. I imagine that for her a trip to buy more fabric is like visiting a candy store. She gravitates toward bright colors and motifs that highlight offbeat, nerdy favorites like comics and superheroes, robots and mathematics, characters from Star Wars and other iconic stories. The problem isn't finding one of her pieces that you like, it's finding just one! 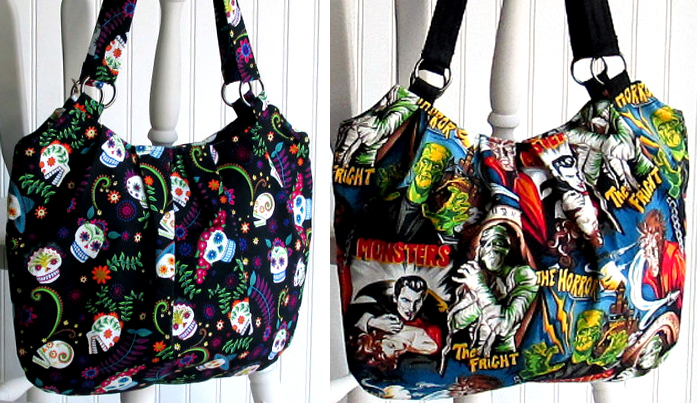 Her purses and pouches come in all sizes to fit many different uses. 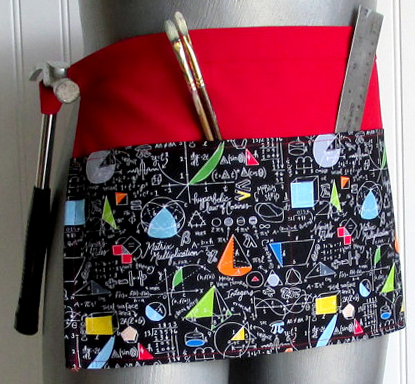 Her aprons range from tailor made for a chef or baker to more of a utility belt for craftsmen or crafters. Artists like April are wonderful examples of people who turn what they love into something other people can use both in function and as an expression of their personality!